Hotel Taira: A long established hotel that is great for busines or tourism in Naha, Okinawa Japan! For business, sightseeing, and diving! As one of the longest established hotels in Naha, Okinawa, we take pride in providing as many services as we possibly can. Same day reservations are available. Our heart broke when watching the scene of the disaster unfold on TV, newspaper and other media. We hope and pray for everyone's safety and speedy recovery. Our hotel will do what we can do help those affected by the tragedies, even if a small gesture. Now, as only Okinawa can do, we want to help cheer up those affeced by the disasters and will welcome all customers with "Yui maru spirit". 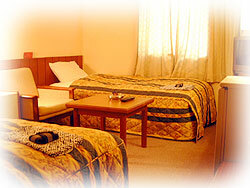 Hotel Taira pride comes from our history and our dedicated staff's long record of hospitality & service. We know it's important to start a great day with a filling and enriching meal. We have started a welcome service!(^^)! Reservations can be made between 15:00 - 20:00. They are the popular electronic assistance bikes!! Exploring the city on a sunny day by bike is great!! Introducing the long term plan! Including the famous hotel breakfast, more affordable than weekly or monthly apartments! Big discount sale for customers! We're offering it again ! ! Hurry, apply quickly ! ! We are now offering Okinawan Soba for free ! ! For a limited time（until July 15th, 2011）we are offering a low rate for our customers! 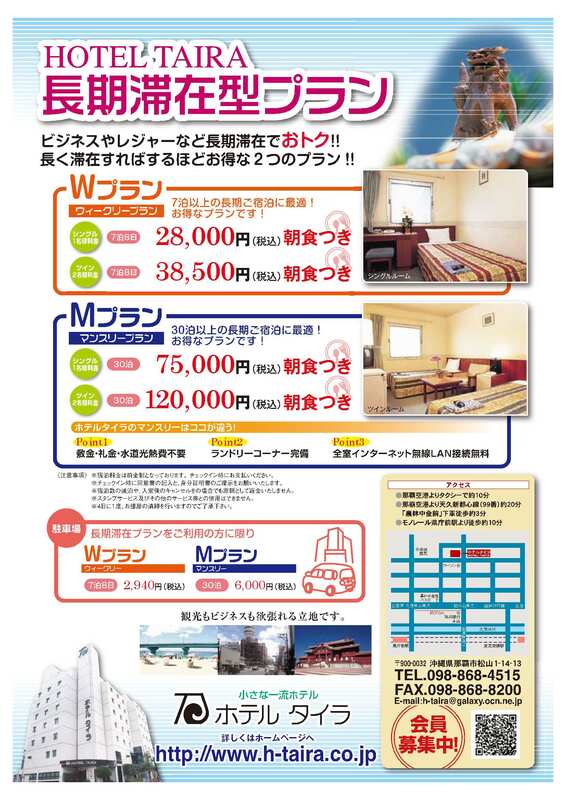 A single room is an astounding 2,625JPY/person!! plan M and plan W.
More affordable than weekly or monthly apartments. Another new service...from Hotel Taira! We also have "Eco Rental-Cycles." 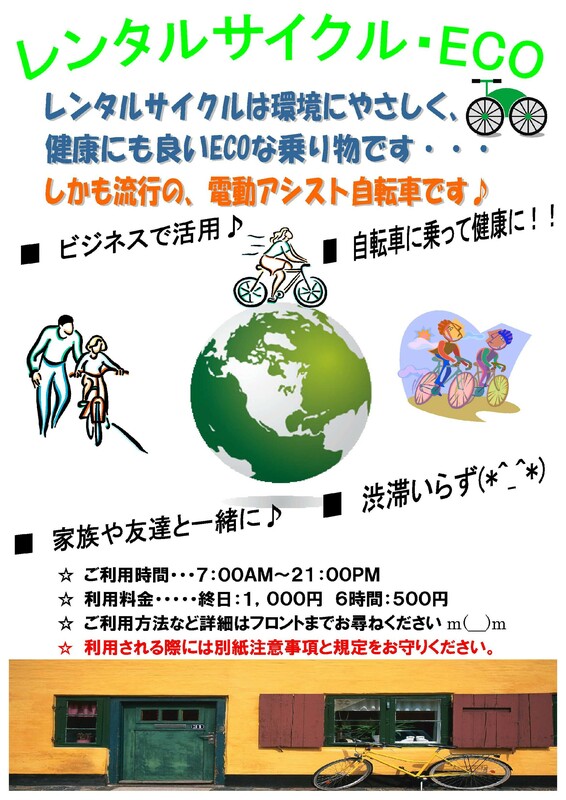 Not only easy on the environment, but healthy and economical too - why not have fun on a bike in the city of Naha? For reservations, please call →098-868-4515. 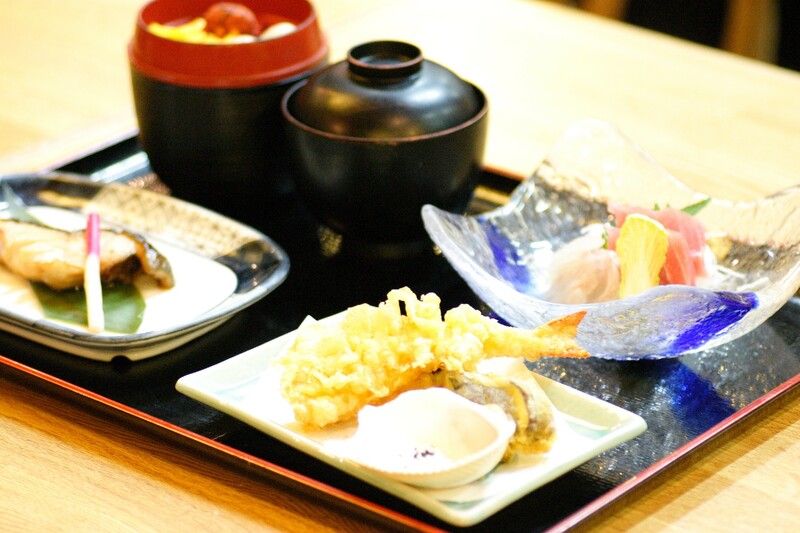 A New Offering from HOTEL TAIRA . . . This service is by reservation only, therefore please feel free to contact us. We've implemented a confirmation and reservation system for cell phones. Please access using the QR code as indicated above. ©Hotel Taira. All Rights Reserved.